More than 400 people attended the “Confronting the Food Crisis: Cultivating Just Alternatives to the Corporate Food System” Teach-in on December 5th and 6th. This was a huge turnout that far surpassed our expectations! A big thank you goes out to all the speakers, co-sponsors, volunteers, and allies who made it happen. We couldn’t have done it without you! We want to especially thank the City of Seattle for providing funding through the Department of Neighborhoods. 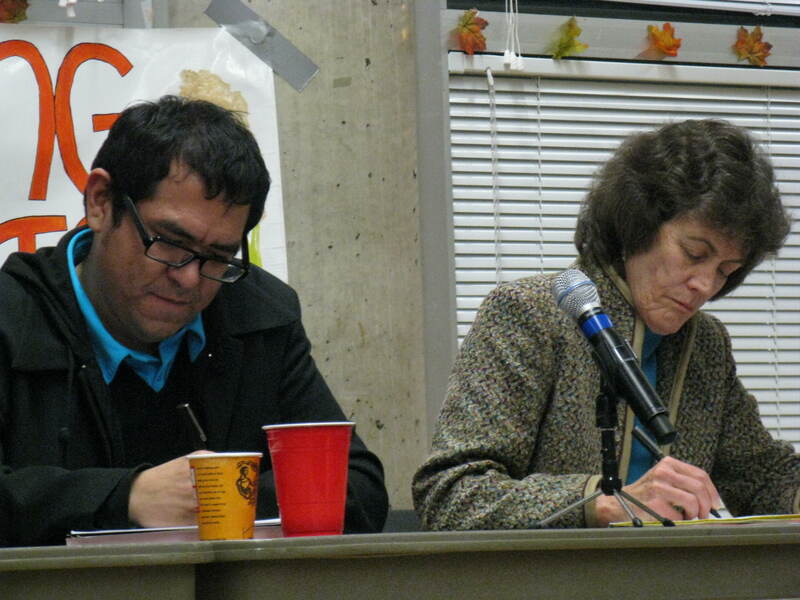 On Friday we opened the Teach-in with an event at Garfield Community Center, with Lucy Jarosz from the UW Geography Department, Sue McGann from Lettuce Link (a project of Solid Ground), Carlos Marentes from Comité for Immigration Reform and Social Justice and Via Campesina, and Carol Thompson of Northern Arizona University, a scholar and activist for food sovereignty in Africa. The panelists presented diverse views of why we need to confront both the food crisis and its mainstream representation. 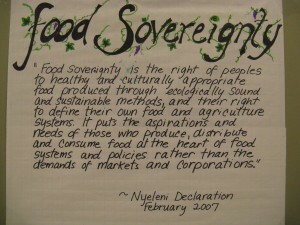 While opinions and approaches diverged, all of the presenters addressed the underlying themes of people power, sustainability, food justice, and food sovereignty. The issues and analyses highlighted the need for systemic change on multiple fronts in the local and global economy. 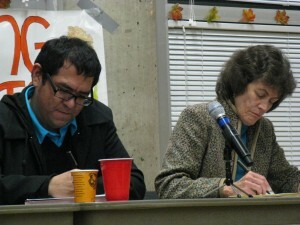 After speaking, each panelist posed a question or two for the audience to discuss in small groups more deeply. 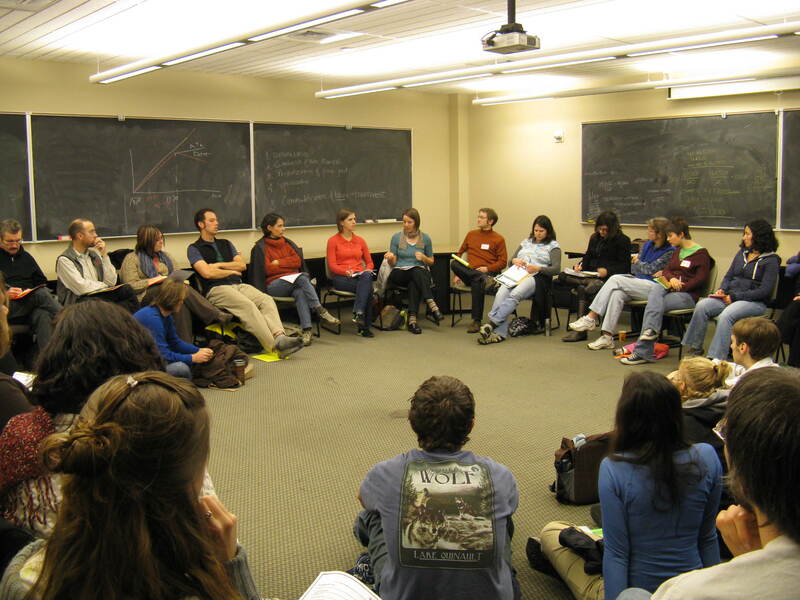 In these small groups, community members discussed the underlying causes for the food crisis, and what kinds of radical changes are needed to solve it. 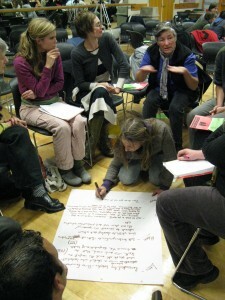 All told, over 115 people attended on Friday! The kick-off encouraged community members to think through the multiple connections and contradictions between different elements of the food system and how we all share similar challenges, values, visions, and struggles around the food we eat (and/or should be eating). 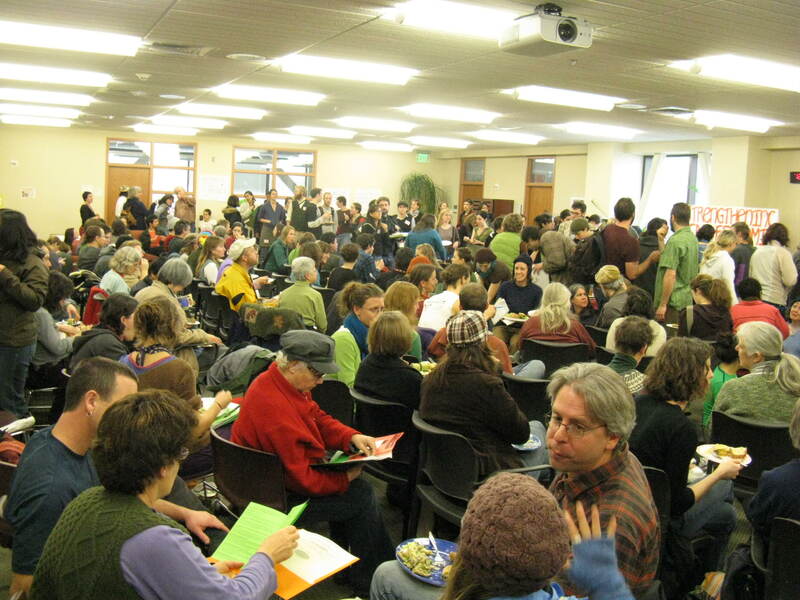 On Saturday, our all day teach-in included hands-on workshops, panels of activists and people working toward a just food system, a delicious locally-sourced lunch, and sessions that included films, games, and music. 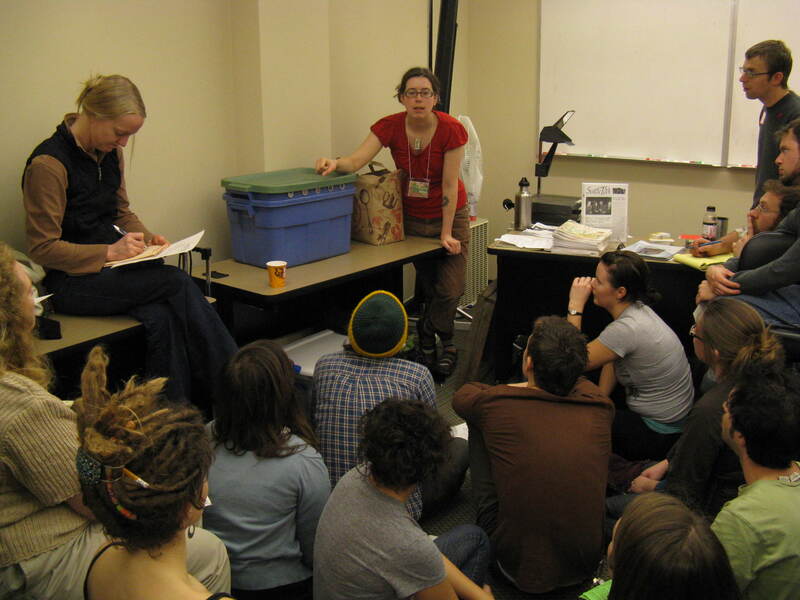 Sixteen separate sessions took place at Seattle Central Community College, and all were packed with enthusiastic community members sitting in every free chair, table, and inch of floor space. The energy radiated through and out of every room, as we each offered assessments of our current situations and fantastic ideas and discussions of how to create a just food system that works for everyone! Our lunch, provided by Madison Market and made of local ingredients, provided a great opportunity for folks to share a meal, chat with friends new and old, and start creating the world we want to see. CAGJ encouraged folks to sign up and become members throughout the day, and we ended with over 40 new members! We are excited to have these new members committed to supporting us and helping us do the work we do for a just economy by donating their time, money, ideas, and participation. 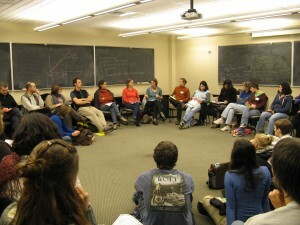 One of the goals of the teach-in was to encourage a coordination of efforts in Seattle and help facilitate new ideas, action plans, and alternatives to come forth and become a reality. We saw many great connections taking shape and feel that the teach-in really helped to facilitate a more connected movement for food justice in Seattle and beyond. 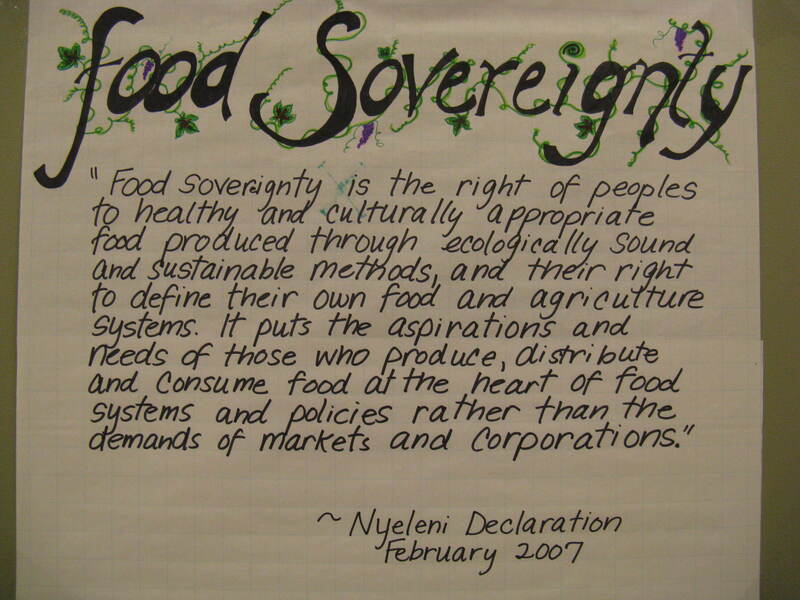 Our closing session asked the audience to discuss their ideas for moving toward a radical food politics and food sovereignty, helping to coalesce the discussions, exchanges and planning that people accomplished. 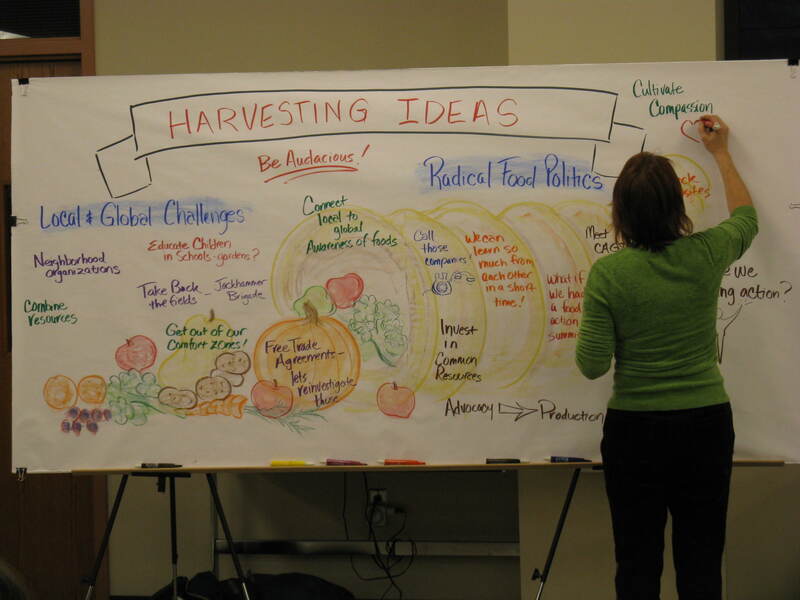 To top it off, a great artistic rendering of our ideas developed right before our eyes with the help of a graphic facilitator! Stay tuned to www.cagj.org for more pictures, notes from the sessions, reportbacks, and potentially audio and video media from a wonderful, invigorating, and successful event. 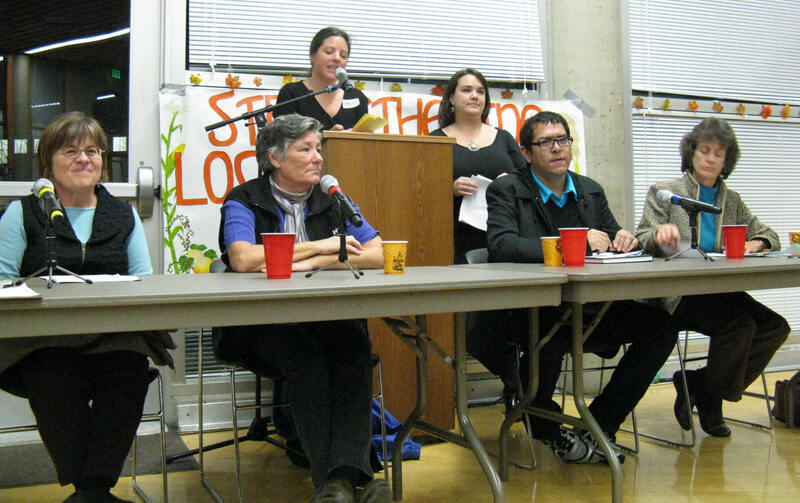 Thanks again to all the people that helped make the strong case for a powerful, radical food politics, and to all the people from the community that attended, participated, helped shape, and will continue to do the work towards a just food system for all. The EatLocal blog, posted by Andrea Hermanson (one of our facilitators from Dec. 5th!). Another take on the day.